Henigin's Small Engine Repairs is a " Authorized Service & Warranty Dealership " for TROY-BILT power equipment. Henigin's provides warranty and service for all TROY-BILT equipment . No matter where it is purchased. Local Lowe's customers,Indiana and Latrobe, Pa. . Warranty for your TROY-BILT equipment gets higher priority when a unit comes in for warranty.While your equipment is under warranty, you'll receive discounts for parts, and a winter Tune-Up special. 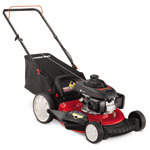 Get solid strong performance with plenty of power with TROY-BILT . TROY-BILT mowers features a rake bumper that lifts grass upright for a superior cut. A choice of side discharge, mulching, or rear discharge puts you in control. TROY-BILT hand held equipment features e-z link trimmer attachment system and a patented SpringAssist starting. 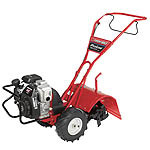 TROY-BILT tillers are designed with durability to handle tough garden jobs . Counter-Rotating design and a selection of different models make TROY-BILT tillers easy to use. TROY-BILT tractors have powerful Kohler engines and a cast-iron front axle. Built tough to handle the largest lawns ! Your choice of 7-speed, Auto Drive, Hydrostatic transmission design or Z-Turn tractors , TROY-BILT tractors give you a wide varity for you to choose to suite your needs .